WORD UP: War of Words Season 2 begins.........!!!!! Are you a Spoken Word Poet? Can you kiss words and make them dance? Can you flip and throw words like a lance? Can you use words to tease and to please? and can your words make minds go loco? 2. The top three poets get to perform at the next edition of WORD UP in February 2014 alongside the best Spoken Word Poets in Naija. 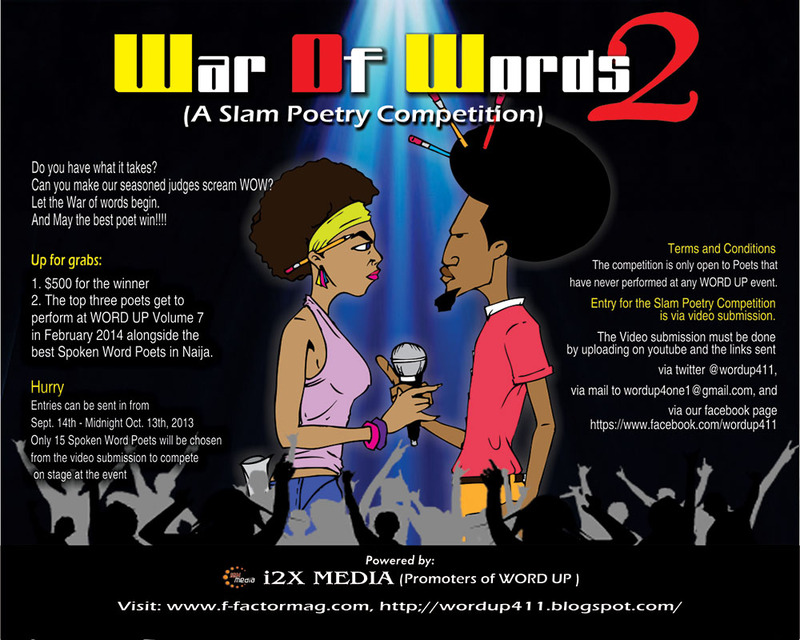 The competition is only open to Poets that have never performed at any WORD UP event. The theme of the video entry for the Slam Poetry Competition is Be the change you seek . Any entry not in line with the theme will be invalid for final selection. Ensure The title of your poem contains the official hashtag #WarOfWords2, else your entry is not valid. The submitted video must be one camera, one poet and recorded specifically for the competition. No live performance videos, no music, no props and no special effects. Please note that all poets are limited to one submission ONLY. 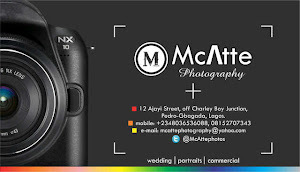 You will be required to post the link of the Youtube Video in the comment section of any posts on http://wordup411.blogspot.com and www.wordup411ng.com, to render your entry as valid. You will also be required to tweet the video link with the official hashtag #WarOfWords2 to @WORDUP411. Video submission starts 12am September 14 2013 till Midnight of October 13, 2013 !!!!!! A total of 15 poets will be chosen from the video entries for the competition. The first ten will be chosen by our in-house judges. and the videos with the most comments. and may the best poet win...!!!! Great initiative. Let the poetic war begin!